For work and play, which pickup suits your needs? 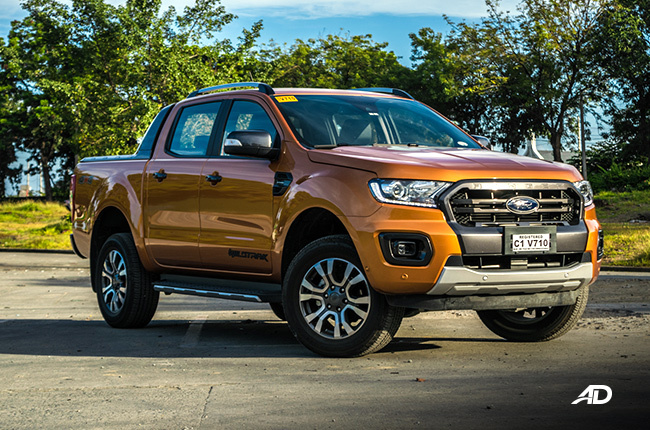 Now, more than ever, the midsize pickup truck has been an option for those looking for a vehicle to suit family and work needs, shedding off its completely utilitarian vibe. 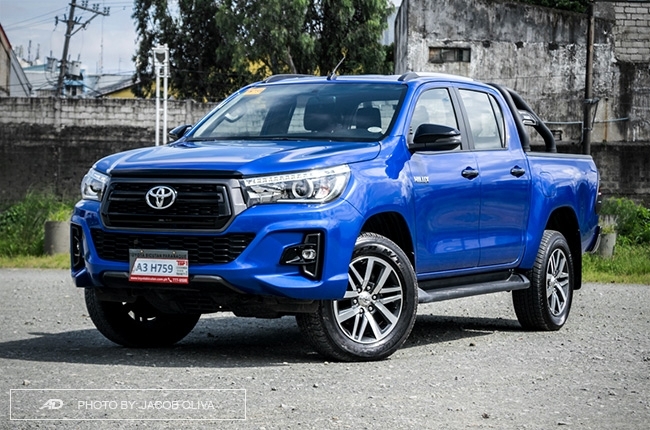 The midsize pickup segment has grown by quite a bit since 2018, the TRAIN law helping the market for these trucks grow because of more accessible pricing. 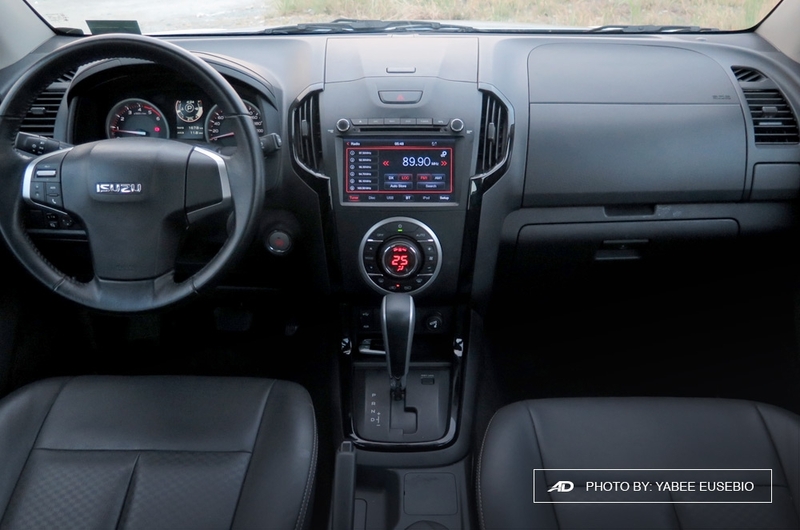 With the local automotive pickup scene heating up, manufacturers have been trying to put their best foot forward, suddenly pivoting towards lifestyle midsize pickups with updated amenities and technology. 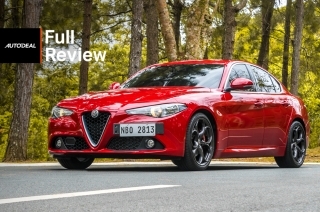 Just like our previous quick comparison on midsize SUV interiors, we’ll be taking a closer look at the cabins of these workhorses. 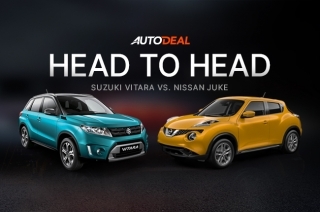 You’ll see some similarities between the pickup and SUV versions from the same manufacturer, and you’ll also find yourself surprised at the comprehensive amount of refinement that some of these contenders bring to prospective customers. 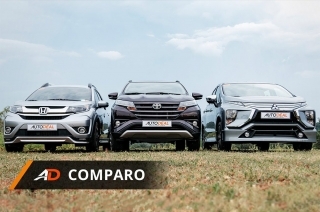 Without further ado, let’s jump into our comparo. Toyota’s venerable Hilux has a lot in common with its seven-seater brother, the Fortuner. Depending on the trim you go for, you can expect a number of piano black finishes and chrome bits. Leather is thrown in for higher variants in the steering wheel with some stitching, but the whole dashboard is a mix of soft and hard elements. Faux wood is out, and that’s a good thing in some people’s eyes. 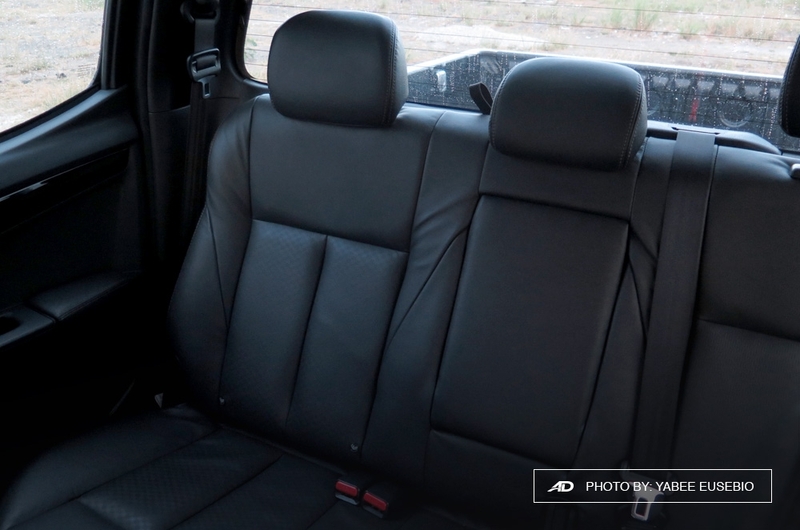 Fabric seats are all that can be had in the Toyota Hilux, unfortunately. 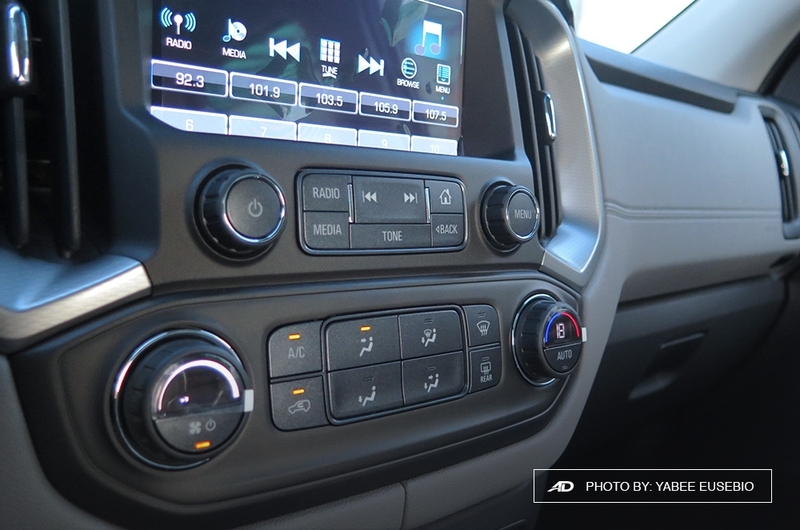 The infotainment is the recognizable and somewhat criticized AVT unit with the usual bluetooth pairing. No Apple CarPlay and Android Auto here, however, so the unit is starting to get a little bit long in the tooth. 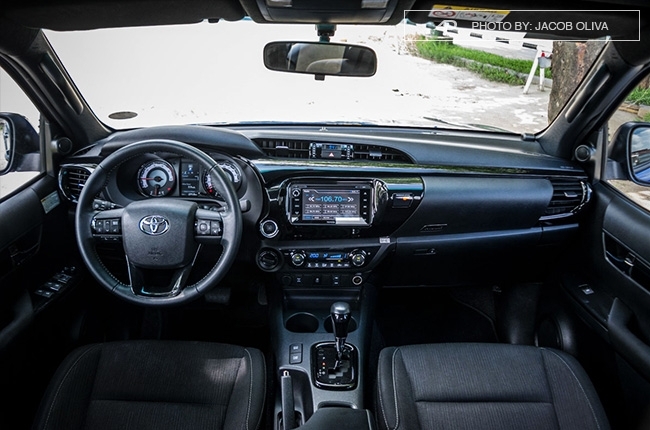 The rest of the button and switch layout is good, as is with most Toyotas, and conveniences such as automatic climate control, speed-sensing door locks, parking sensors, power-folding side mirrors, and automatic headlights are available. No reverse camera or cruise control, though. A somewhat dated but reliable choice in the pickup segment. 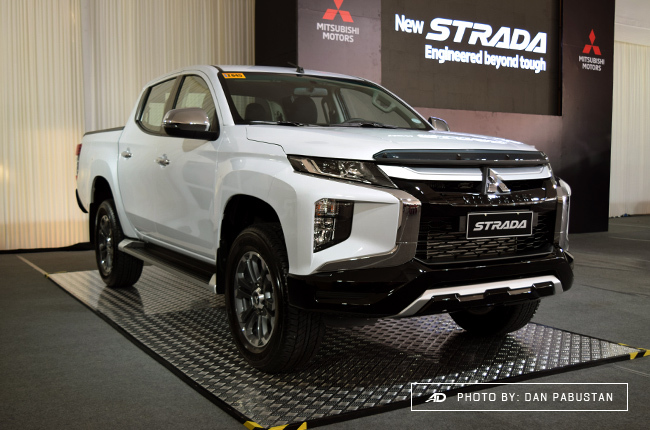 With the recent Dynamic Shield refresh gracing the Strada, Mitsubishi’s pickup gets a leg up on the styling department, with a few more updates in tech and safety. Inside, the Strada shares some cues from the Montero Sport, but with a little bit more usage of soft touch plastics in place of fancy trim pieces. There’s some bits of silver plastic and piano black, and leather on the seats and the steering wheel are a definite plus. 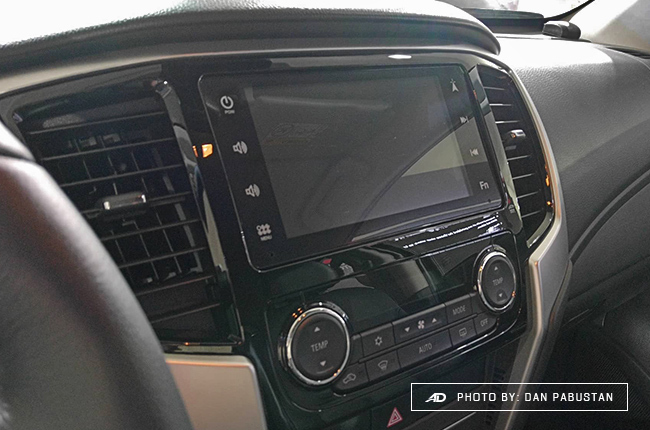 You get an infotainment system that can handle bluetooth for music streaming and phone calls, plus automatic climate control on some trim levels. 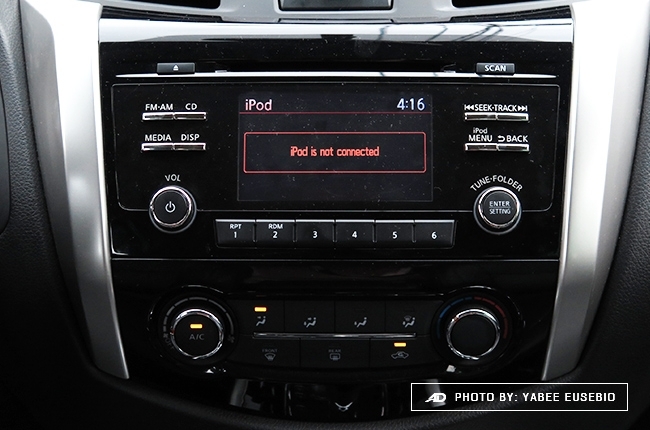 Android Auto and Apple CarPlay aren’t supported just yet, but the rest of the convenience and safety kit is comprehensive. 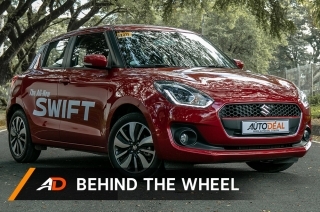 You get forward collision mitigation, ultrasonic misaccleration mitigation, hill start assist, hill descent control, traction control, automatic high beams, blind spot indicators, parking sensors with a reverse camera, and cruise control in certain variants. A significant update to a popular pickup that will keep it among the top players in the segment. 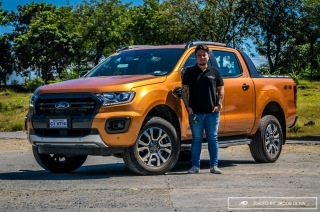 The Ford Ranger has been a top contender in this segment for many years, being one of the most comprehensively equipped and premium feeling of the midsize pickups. 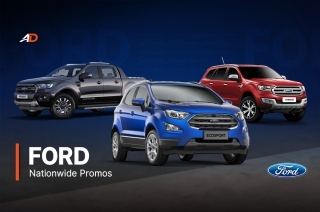 The best bits of the Ford Everest carry over to the Ranger, with only slight changes in stitching and colorways. 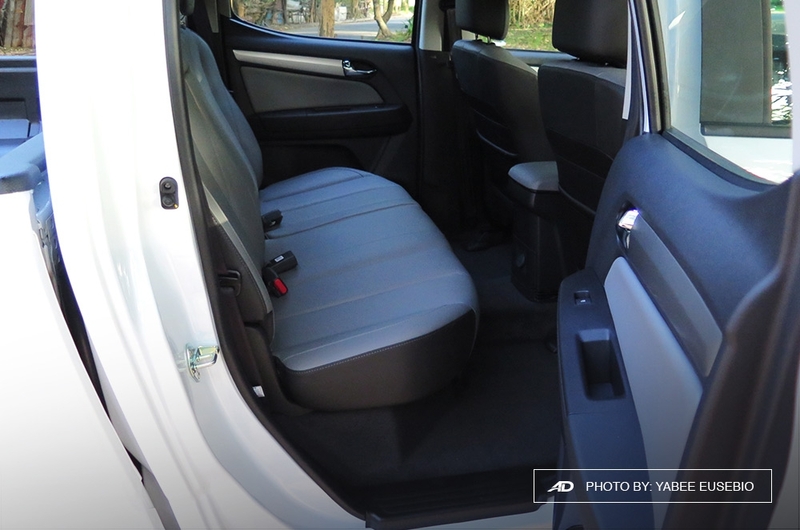 You’ve got a good mixture of different materials, ranging from leather on the seats and steering wheel, soft touch plastics on the dashboard, and tastefully applied plastic trims at key points. 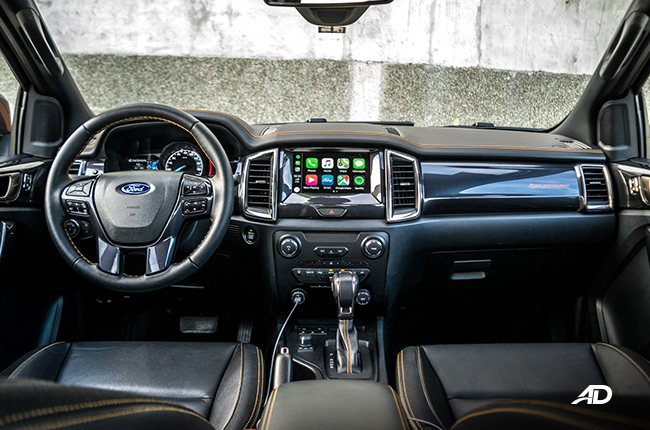 That also means that most of the technology and safety carries over, as well, with the easy to use Ford Sync 3 infotainment system being as slick as ever, and the inclusion of Android Auto and Apple CarPlay is a big plus. 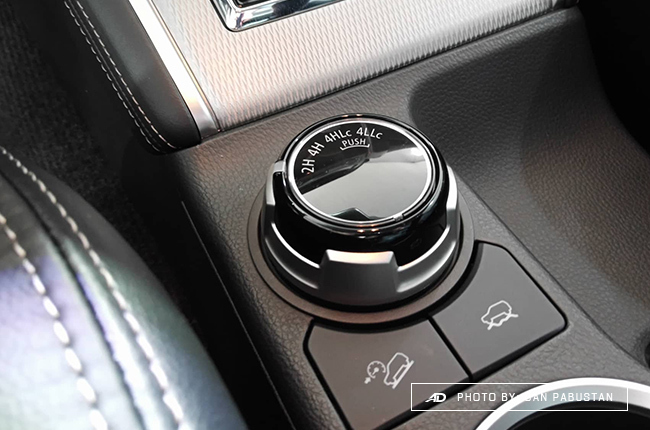 Automatic climate control, adaptive cruise control, automated parking, lane keep assist, blind spot monitors, and autonomous emergency braking can be found in the Ranger. 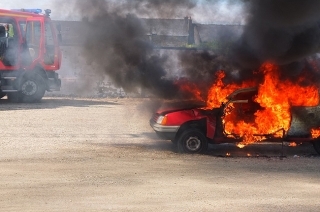 Automatic high beam, wipers, and headlights just add icing to the already fantastic cake. One of the best pickups you can buy on the market today. Sits very high among the rest. Mazda’s BT-50 is actually a cousin of the Ford Ranger, sharing the same underpinnings and similar engines. 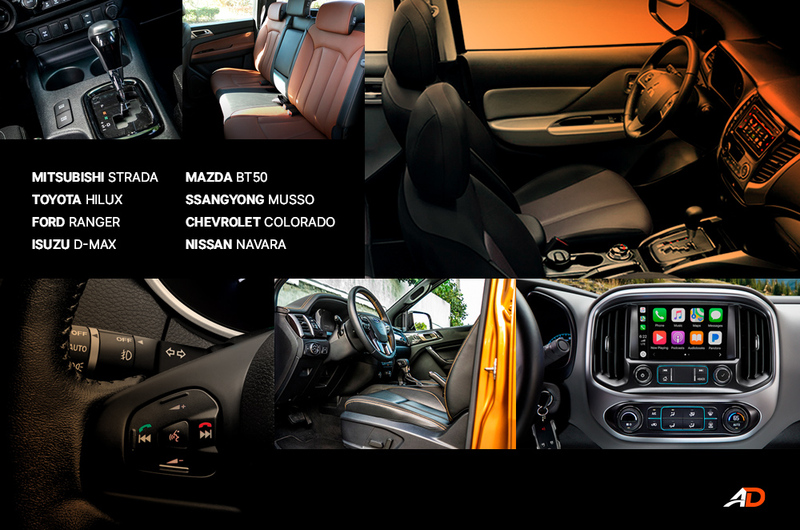 The interior is where the differences are the biggest. The BT-50 is a decent mix of soft touch plastics and silver trim, in a predominantly black color theme. It’s a plain and neat looking cabin that’s the safest in terms of design in its class. 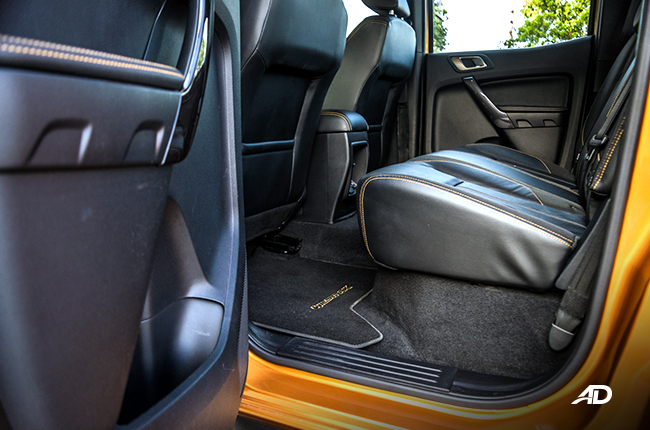 Fabric seats are standard and a leather steering wheel and seat combo are found in higher trims. 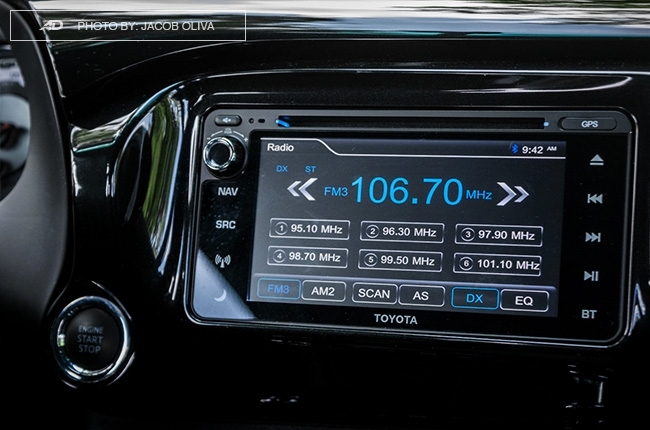 Unfortunately, the BT-50 retains a dated modified version of an infotainment system from Fords of previous generations. Which means that the small screen, which isn’t manipulated by touch, is flanked by too many buttons. It does have bluetooth and voice control, so there’s that. The Mazda BT-50 can also come with automatic climate control, rain sensing wipers, cruise control, auto-dimming rearview mirror, hill descent control, and stability control. 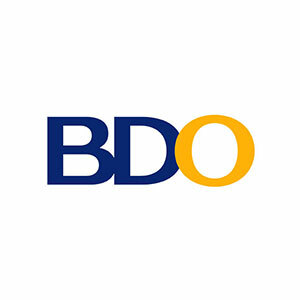 Good looking, but needs a significant update to stay competitive. 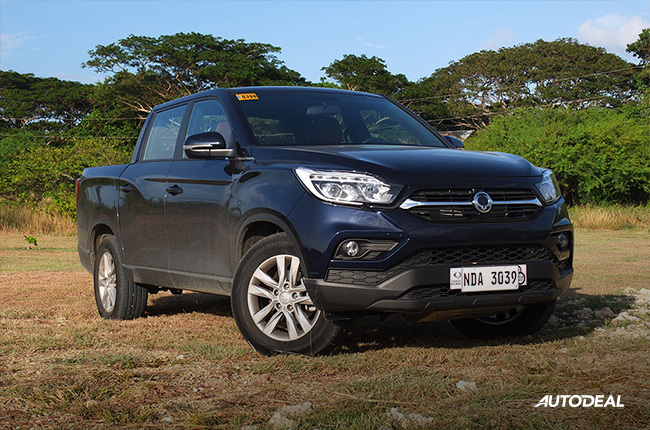 The Musso represents a big step for SsangYong in entering this crowded and competitive vehicle segment, and what it brings to the table is a pickup that’s focused solely on being comfortable to live with. 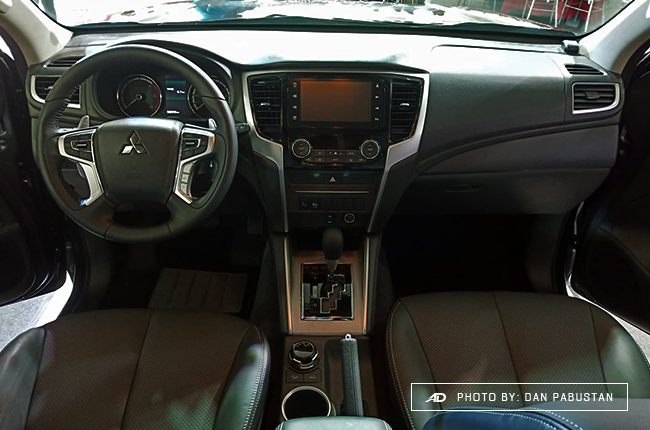 Leather seats all around, and a high quality premium interior with soft touch materials, aluminum colored plastic accents, and interesting color choices, make this seem like an executive sedan if not for the ride height. Material choice is top notch and finish is good. 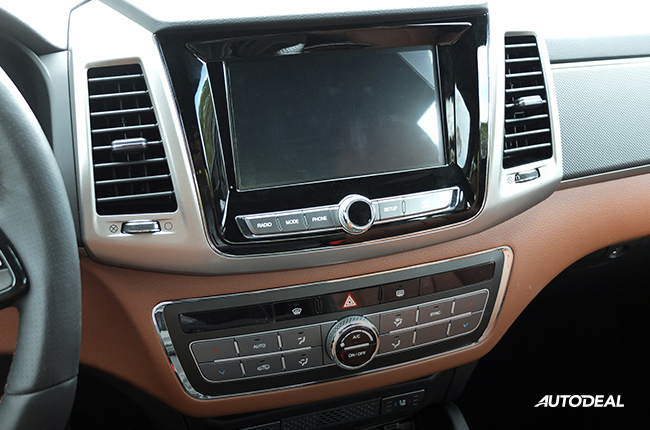 The Musso is also graced by a responsive touchscreen infotainment system that has Android Auto and Apple CarPlay. 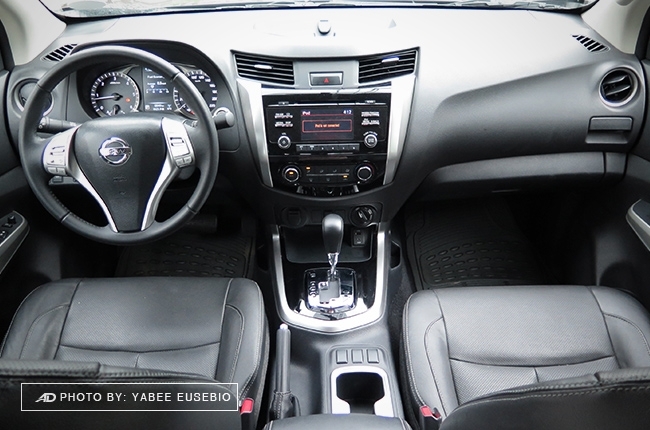 You can also expect automatic climate control and heated or cooled seats. 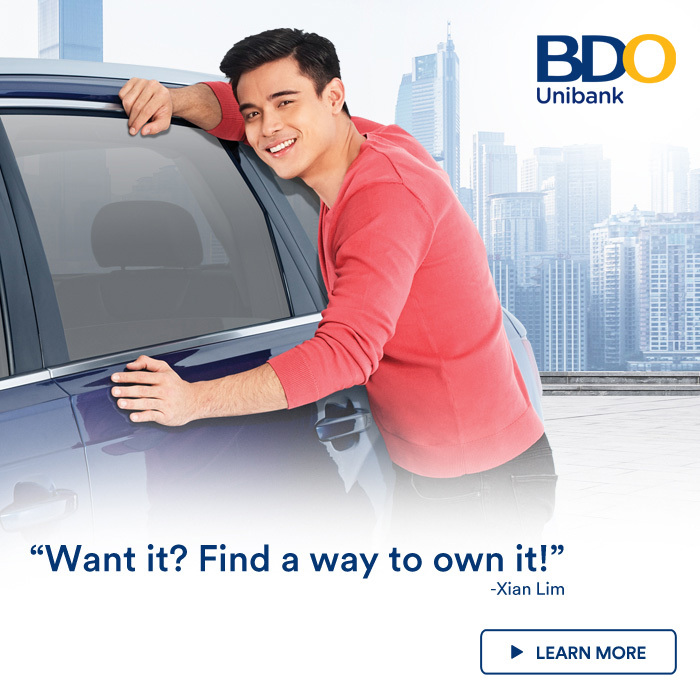 You get automatic headlights, automatic climate control, a reverse camera with sensors, and power-folding mirrors. 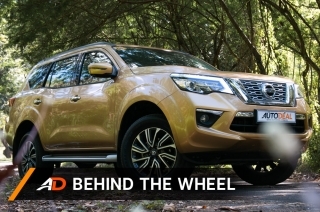 One of the best cabin experiences for this segment, the SsangYong Musso will surprise you. 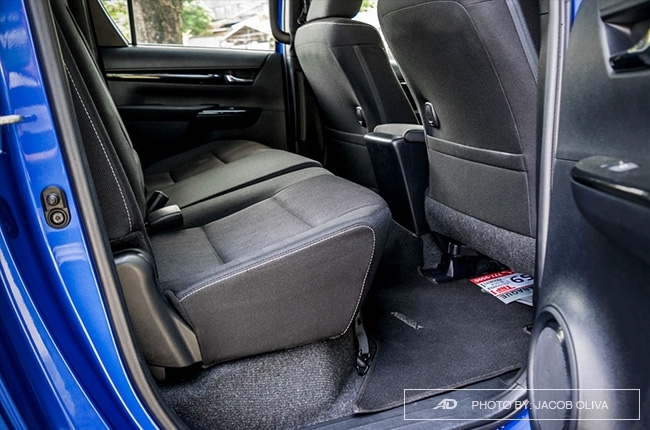 The Chevrolet Colorado adopts many of the features of the Trailblazer, except it trades the trunk for an open bed. The interior is a good mix of grey and black, with a touch of chrome. 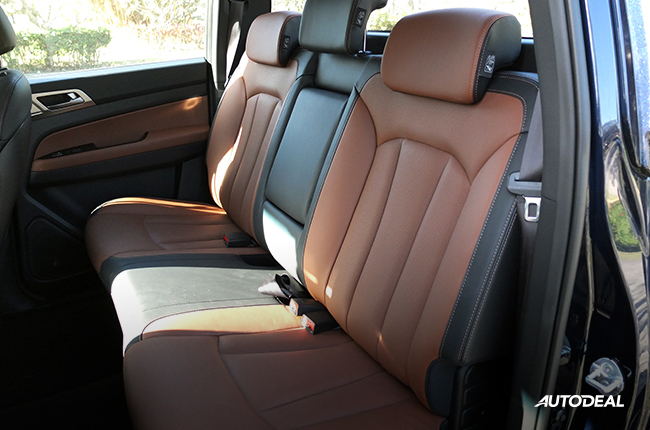 The seats and some panels are covered in leather giving it a premium feel, while other parts of the interior are made from not cheap-looking plastics. It’s a clean and sleek looking cabin that will cater to those looking for simplicity. 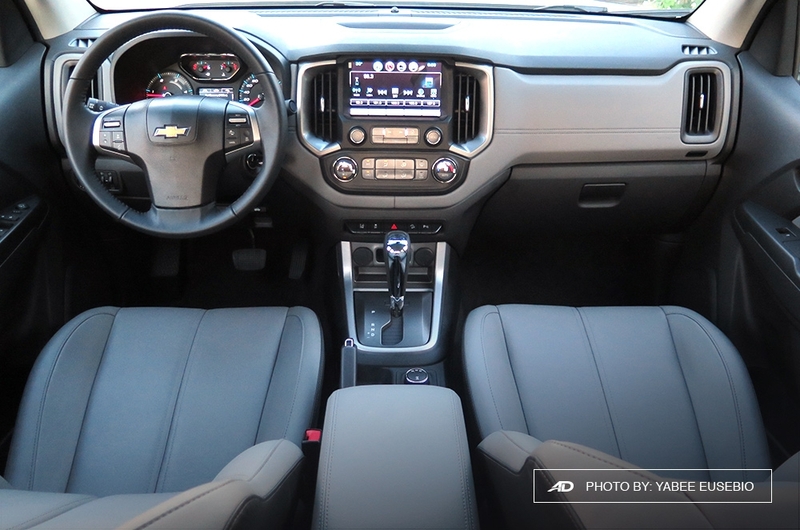 The Colorado comes with Chevrolet’s MyLink infotainment system that supports both Android Auto and Apple CarPlay and the interface is easy to use. 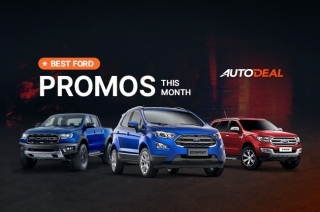 Automatic climate control, lane keep assist, traction control system, hill start assist, hill descent control, stability control, forward collision warning, and automatic headlights and wipers. 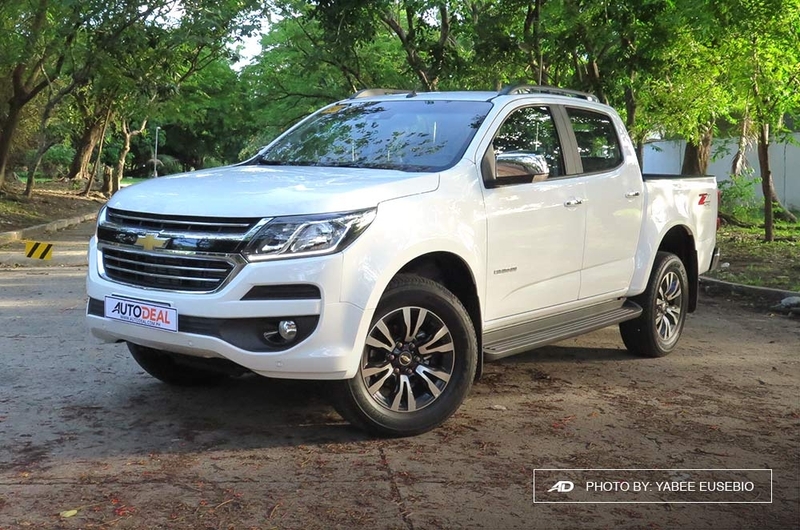 Overall, a solid choice for a pickup, with a good number of features and amenities. 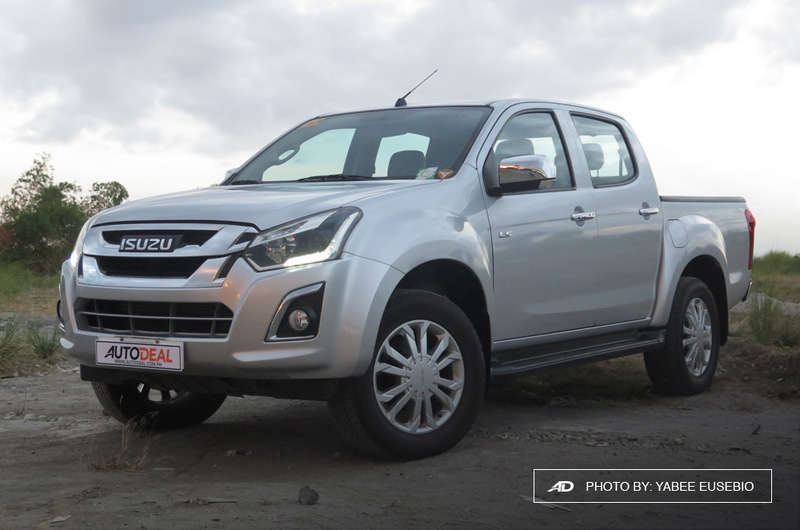 The D-Max carries the banner for Isuzu and their potent diesel engines in the pickup segment. 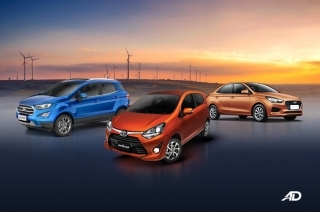 Both the 1.9L RZ4E and 3.0L Blue Power return impressive numbers in the performance and fuel economy categories. 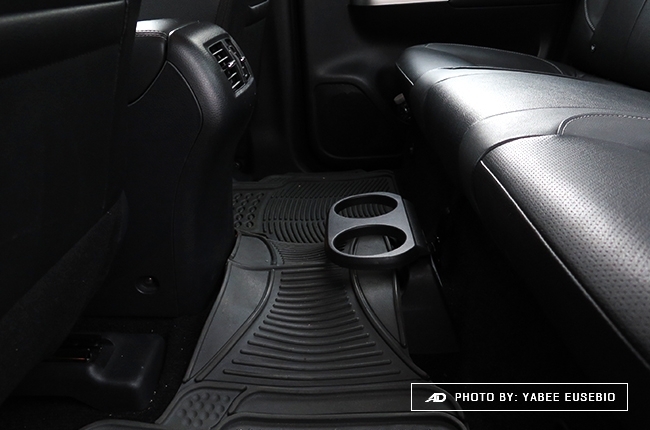 The interior of the D-Max is predominantly plain and black; safe and unassuming. Plus the piano black finish helps add some spice. Leather is used in the seats and come with contrast stitching, while the rest of the dashboard is a mix of textured plastic with minimal fuss. Isuzu's take on the pickup is a workhorse, and it pulls it off well if you're in the market for a safe choice in terms of interior design. 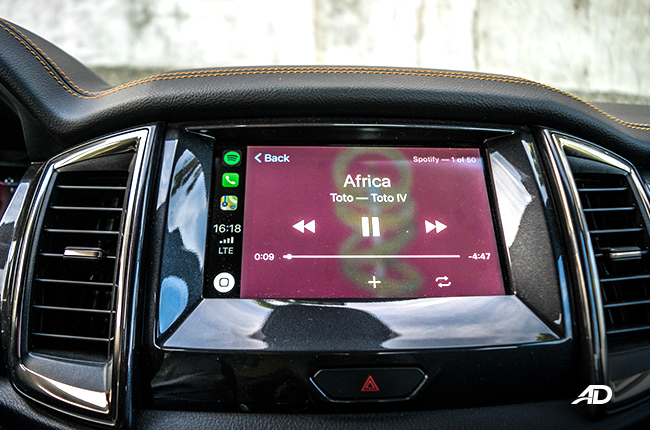 In the D-Max, you get a sizeable infotainment system that fulfills basic functions like phone pairing and music streaming. 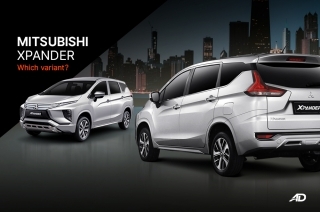 Automatic climate control is easy to adjust, and you get a reverse camera with parking sensors, stability control, hill start assist, cruie control, and tire pressure monitoring. Your no-fuss pickup choice with excellent engine options for any task. 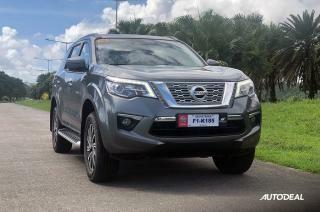 Definitely one of the more handsome of the pickup bunch on this list, the Nissan Navara is strikingly similar to the Nissan Terra, with most of the dashboard elements being lifted from this pickup to the 7-seater. The Navara gets a dsahboard that's mostly hard plastic, but there are some piano black and silver trim pieces to help jazz it up a bit. 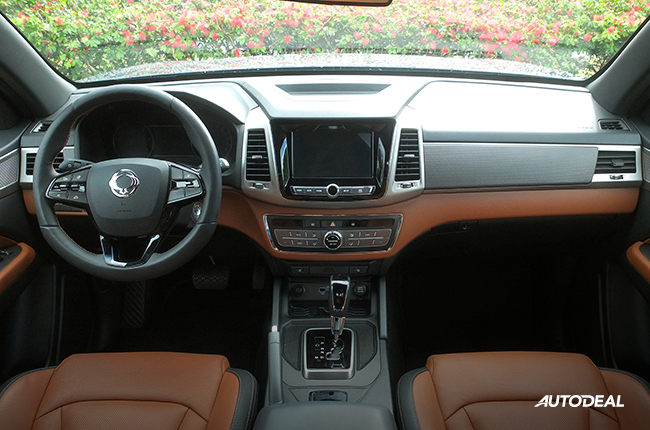 Leather is reserved for the nice seats, steering wheel, and armrests. It's one of those trucks that, once again, doesn't betray its focus on utility rather than luxury. 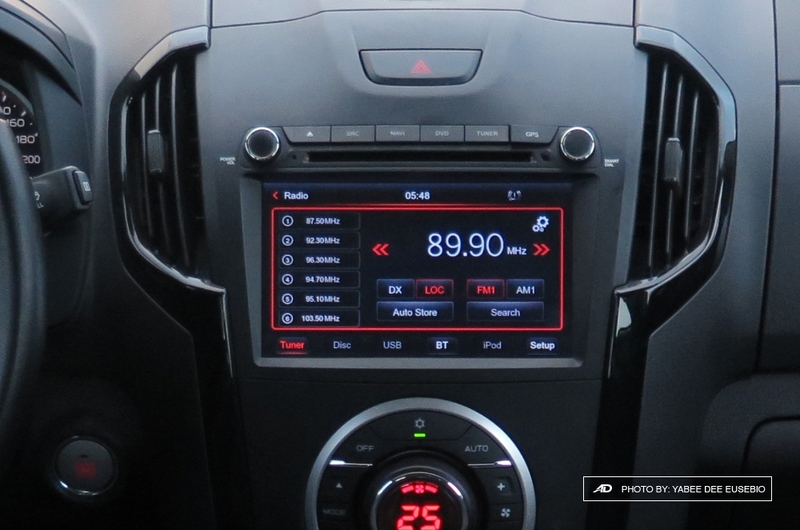 On the infotainment side of things, there's a decent sized infotainment screen that does all the basics right. No Android Auto or Apple CarPlay however, but you do get Nissan's around view monitor on the Navara, making parking and tight spaces easy to navigate. Rear parking sensors, hill start assist, stability control, cruise control, auto dimming rearview mirror, and automatic headlights. 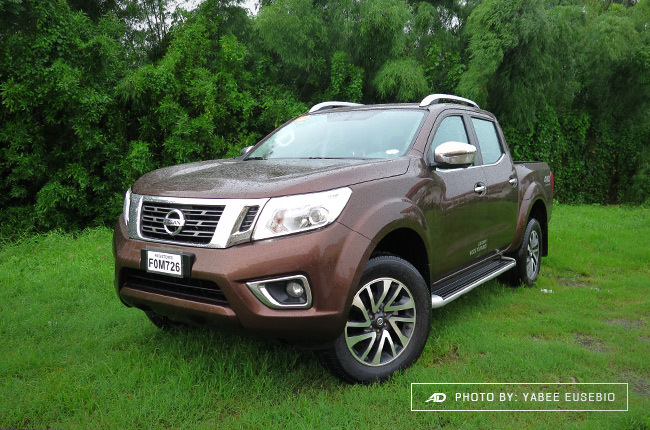 The Navara is a nicely styled and equipped pakcage with the advantage of some neat around view monitor technology.